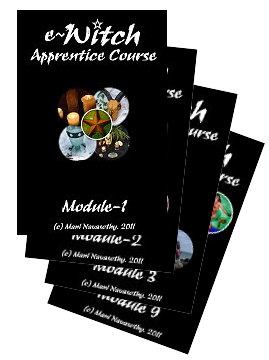 Astro-Alert: Triple Grand Cross in April 2014 (details) | QuantumPhoenix.net – Esoterica, Paganism & Ritual Magic. 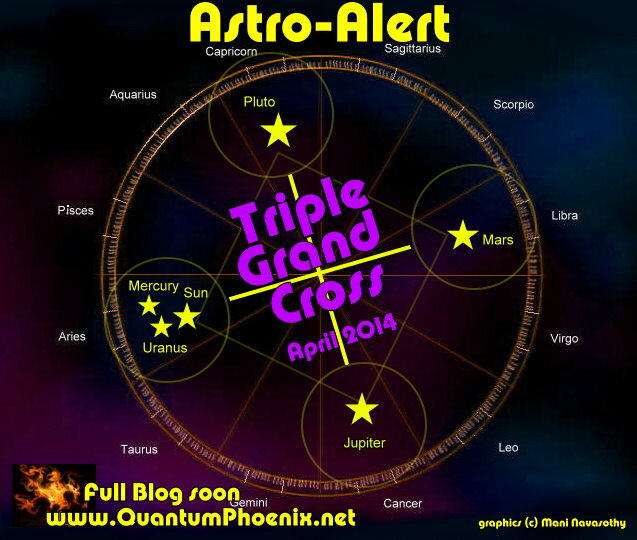 Astro-alert: In a few months (April’14), there will occur a grand-cross ..nay.. a triple grand-cross! 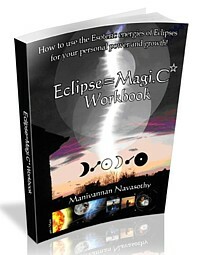 And two of them are going to be taking place within an Eclipse pair also.. (and Earth day in there).. Whereas the ongoing Uranus-square-Pluto is more influential on a communal and global level, these ones involve the personal planets.. and a few transpersonal and the social.. All but pisceans are going to be directly affected. I am currently working on a fully detailed analysis for these.. and will post when ready. For a `Grand-Square’ to take place, planets have to be on 4 `corners’ / `sides’ of a square. So each planet must make aspects with 3 other planets… (two squares and 1 opposition). Here is a list of the individual `components’ of this grand Square/ Cross alignment. Ill put more details soon. 8th April- Sun-opposes-Mars (Sun completes the aspects with 3 others). 16th April- Mercury-opposes-Mars (Mercury completes its 3 interactions). 22nd April- Mars square-Jupiter (Jupiter completes its 3 interactions). 23rd April – Mars-opposition-Uranus (Uranus complets its 3 interactions). 23rd April- Mars-Square-Pluto (Mars completes its 3 interactions). Aries is severely affected for 2 major reasons. 1) Sun, Mercury & Uranus are in Aries…so when these 3 planets form a tough aspect, it affects Aries (1st, 3rd, 8th, 14th, 15th 16th, 20th, 21st, 23rd). In addition, Mars is the rule of Aries, so whenever Mars is part of a tough aspect, it will affect Aries too (16th, 22nd, 23rd). Cancer is affected because Jupiter is in Cancer. So whenever Jupiter undergoes an interaction, it affects Cancer (1, 14, 20,22). Libra is affected. Mars is in Libra..and when Mars undergoes an interaction, it affects Libra (on 8,16,22,23). Capricorn is affected. Pluto is in Capricorn, and when Pluto undergoes an interaction, it affects Capricorn (3,15, 21,23). Gemini & Virgo (Mercury Interactions)- Dates 14,15,16. Leo (Sun interactions) – Dates 1,3,8. Sagittarius (Jupiter interactions) – Dates 1,14,20,22. Scorpio (Pluto interactions) – Dates 3, 15, 20,21,23. Signs not directly affected – are Pisces & Taurus (ruled by Neptune and Venus). However, they do have other interactions going on for them.. but are rather positive. 12th April is when Venus conjuncts Neptune; On 18th Venus forms good aspects with Jupiter, Uranus & Pluto; On 25th,venus forms a Trine with Saturn..